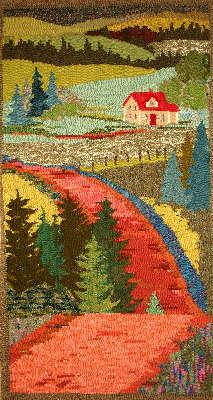 Charming traditional hooked rugs for collectors and hand drawn patterns for rug hookers are the specialties of the Tweedy sisters whose ancestors came to PEI as early settlers. From their home studio, they create traditional geometric patterns and original PEI landscapes and seascapes, large and small, for floors and walls. 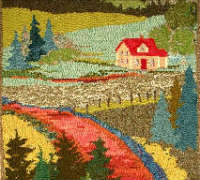 We offer rug-hooking supplies, wool fabric, yarn, and plenty of Island hospitality.